The meet kicked off in the "Pool Area" with water lapping round the climbing mats. However, some useful warming up was done and understanding gained of the often slippery nature of the rock. 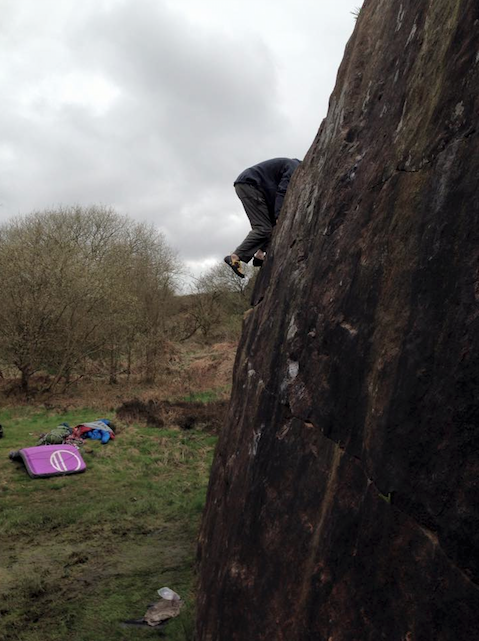 Progression was made to the upper quarry and the "Ashpit Slab" area. Here Will top roped Alice on a 4b crack and bulge left of Ashpit Slab and she then practiced placing nut protection on the route and eventually led it. A good effort on unfamiliar grouind which is quite strenuous to hang around on. 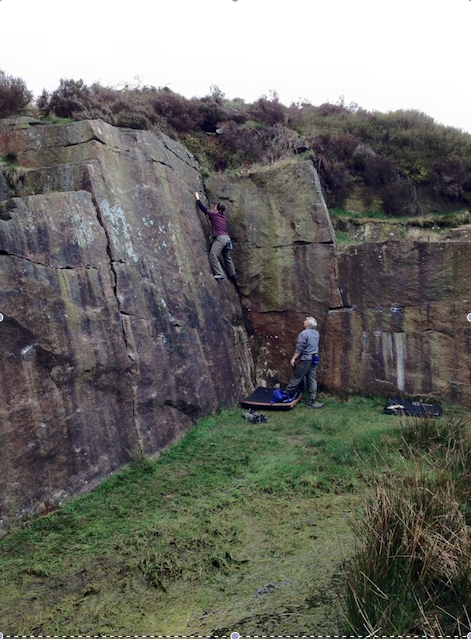 Chris Ward, Chris Manasseh and Derek Hatch soloed and attempted many problems on the slabs to the left again. 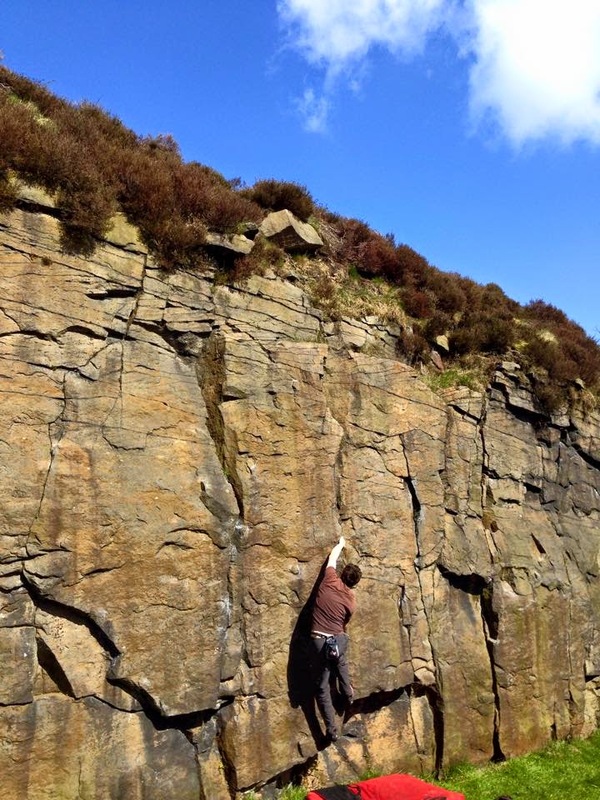 Alice and Chris did the strenuous and slippy start to "Corn Mantle" at the end of the slabs. 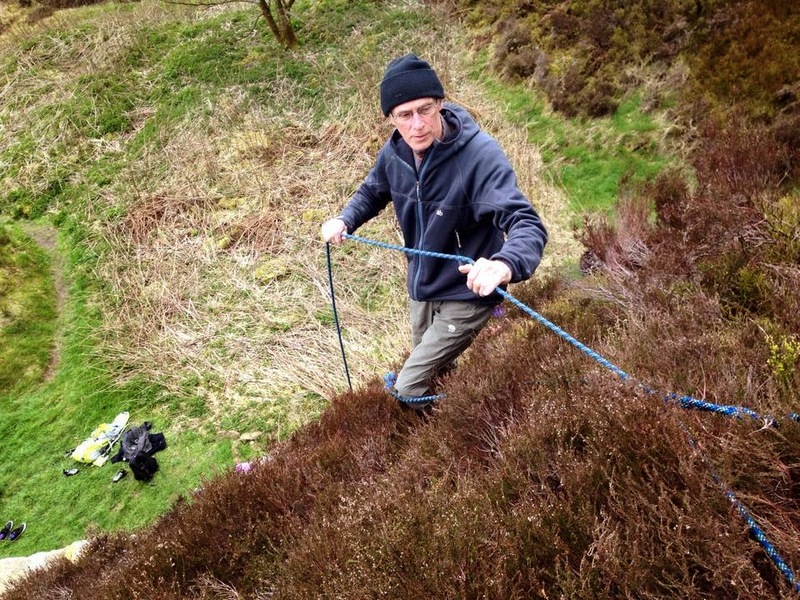 After more ascents, Chris M turned his ankle on a slip from a 5c crack which unfortunately retired him from further action.